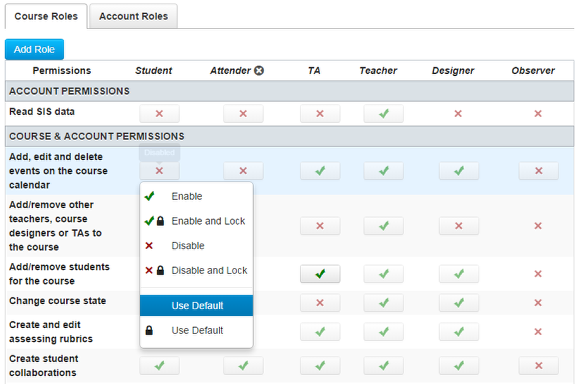 How do I set permissions for course-level roles? 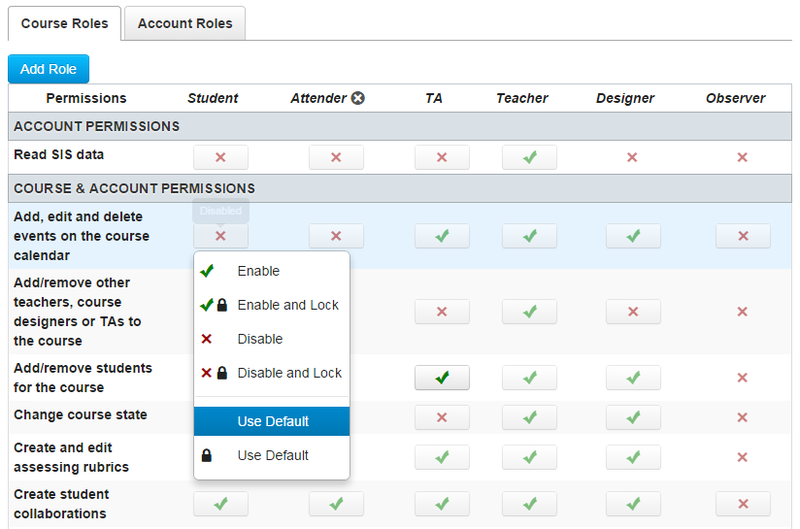 Admins can set permissions for course-level roles in Sublime LMS. Note: If you cannot see Permissions, your Admin has not given you access to this feature. Teachers are the only course-level user that can read SIS data. 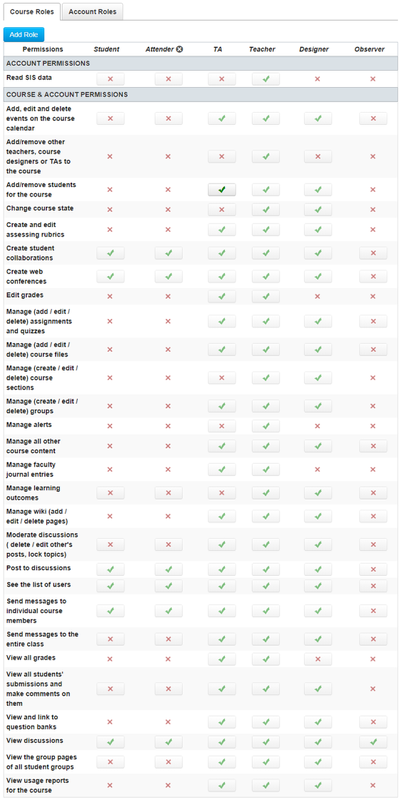 The other permissions are varied, with students and observers having fewer permissions than teachers and TAs. Remember, by clicking on the partially transparent green check mark or red X, to allow or deny a permission, you can override the default setting and the partially transparent green check mark and red X will become opaque. You will see a menu to enable, enable and lock, disable, disable and lock, use default and use locked default. Note: If there is not a red X or green check mark button to click, then you cannot change the permission.